There would be pictures to go along with this post. Okay, I’m not the lazy, hold on a minute…sheesh. Okay, class, time for a pop quiz. 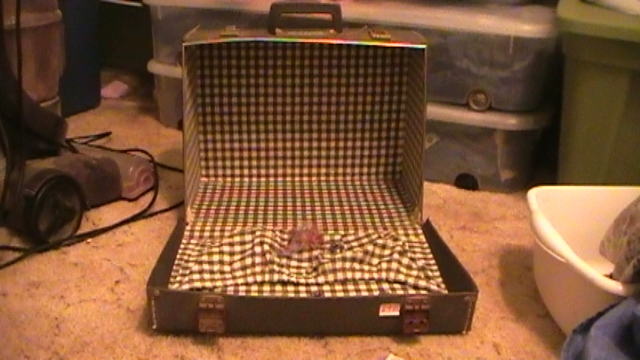 Look at the following picture and tell me in five words or less what it is. A heap of useless parts? Ah, you there in the third row…great answer, you win the prize! 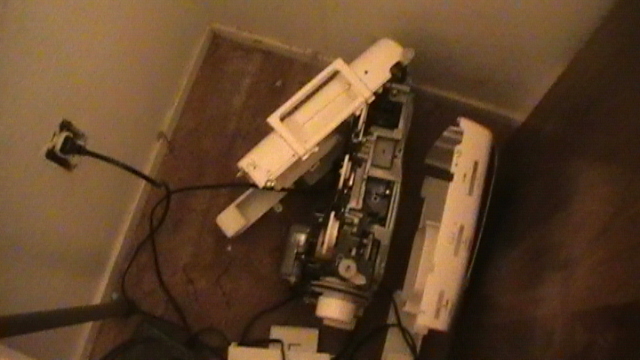 That’s right, folks, it’s a Severely Damaged Sewing Machine. (I said five or less, not five exactly.) Aka as the Brother that I’ve owned for two years that worked like a charm until the daycare kids stuck a crochet hook down inside of it a few months (weeks? Years?) ago and it jammed up and broke a bunch of stuff in there yesterday. And oh yes, my hubby didn’t help much when he took it apart while drinking and proceeded to tighten and loosen screws while drinking still more. I used to have an iPod. Last week I spent my hard-earned daycare money on a new iPod for myself. (Remember the iPod cozy tutorial? Kinda useless now…sigh). When my sewing machine kicked the bucket last night, I turned and stared that tiny little video-capable screen right in the eye and seriously weighed my options. 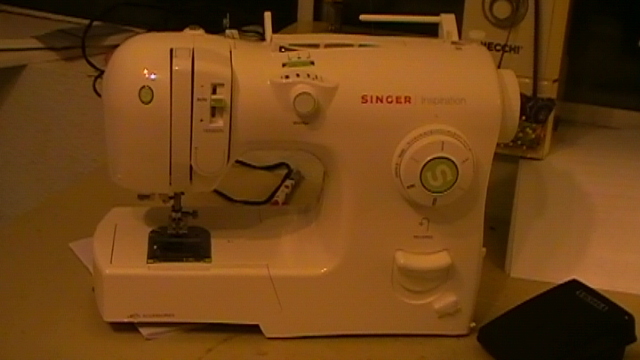 I’d originally bought the iPod to listen to while I sewed. Now, with no sewing machine, it stands to reason that the iPod had lost some of its magic and purpose through no fault of its own. I checked the store’s return policy and discovered I had fifteen days to return it. I was still undecided, so I went online and looked at Joanns.com and saw that the singer I’ve had my eye on for a while was on sale…how amazing! I decided on the spot that that expensive little music player was in no way more valuable to me than the ability to shut myself up in my sewing room and send my machine humming happily through piles of fabric and recycled clothing. I took the iPod back to the store today and clutched the returned cash in one sweaty fist all the way to the sewing shop. Isn’t the box so pretty? Sad fact: Twenty-four hours later, I still haven’t threaded this thing. It’s intimidating me. I’m vowing to myself that before bedtime tonight I will have used it to make at least one dish-towel-hanging-loop (a blog will be coming on that subject soon, I swear). After that heady rush of excitement, I was fully prepared to drive straight home and play with my new toy. But since I hadn’t spent all of the iPod cash (still had a twenty and some change in my pocket) I decided to head over to a local thrift store for some sheets (yes, I had this tutorial from the tutorial contest over at SMS in mind and can’t wait to try it out). When we got to the register I was surprised to see that the girl was taking half-off every price tag she rang up. When asked, she told me that it was half-off day – half-off anything in the entire store. I had spent a whopping six bucks (two sheets, a bath robe for the girl, and a pair of shoes…not a bad score in all) so I still had some cash just dying to be spent on something I’d seen in the very back of the store. 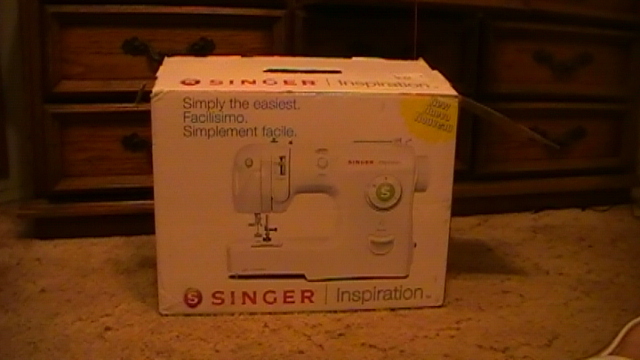 It’s another Singer, but weighs about ten pounds more than my brand new one and is a 5525 model. In a black and white lined case. With a ton of bobbins, a zipper foot, and the whole foot pedal. I paid $16.09 for it, thinking in the back of my excited mind that even if I had to put it in the shop before I could use it, the purchase price was more than worth it. DH was shocked and amazed to see me come in with not one but two machines. I set to work as soon as I got home. I unpacked the new/old one, leaving the new/new one in its virginal box on the floor. I already knew it would work; I was dying to see if the new/old one would. I was shocked and amazed when it hummed easily to life and sent its needle happily pulling stitches through my test fabric. It works!! Beautifully, silently, effortlessly…it’s a gift, really, to plug in a machine, sit down and enjoy it so much. A gift I’m so grateful for! So it might have been worth the crochet hook, the hours of frustration on the crazy quilt that i have yet to blog about, and the returned iPod (and wasted tutorial, lol) to end up with two nice sewing machine for about the same price as some expensive little gadget. I am seriously in love with life right this minute. 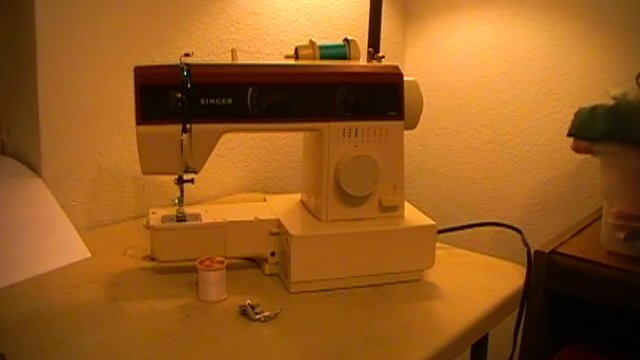 But, I’m off to sew, sew, sew! Until next time, happy sewing! I hope the hiccups end soon and you can post pictures – what a great haul it sounds like you got! Um, hey Shea…that mother in law of yours is lucky to have you! If she turns the machine down you know where I live :0) Love you!